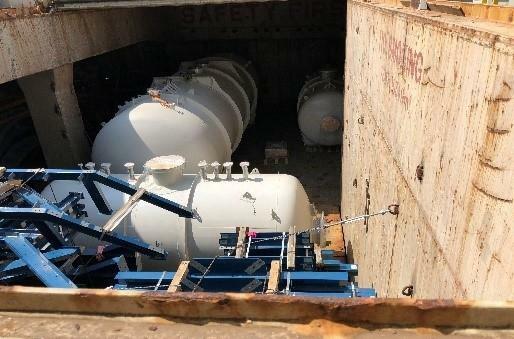 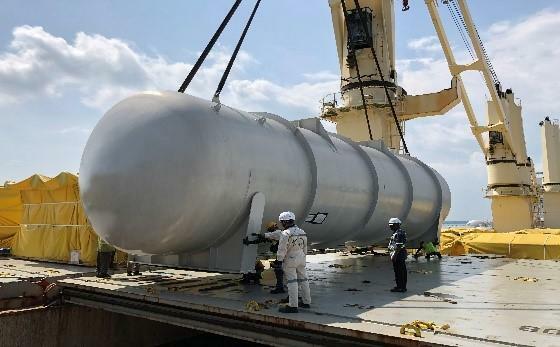 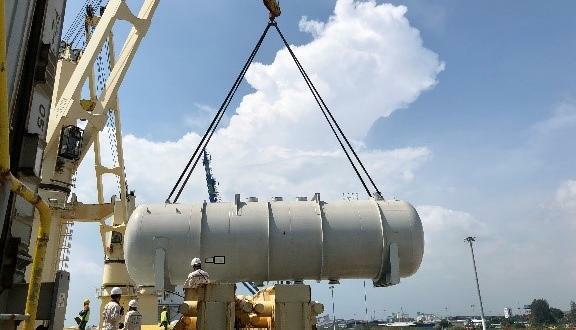 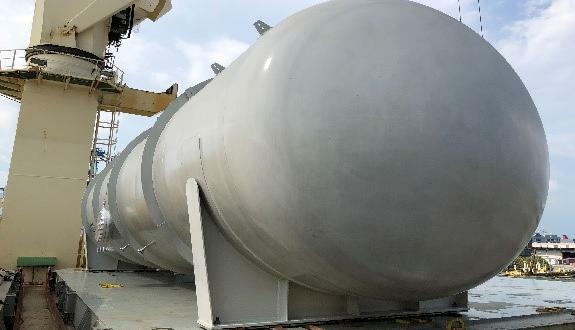 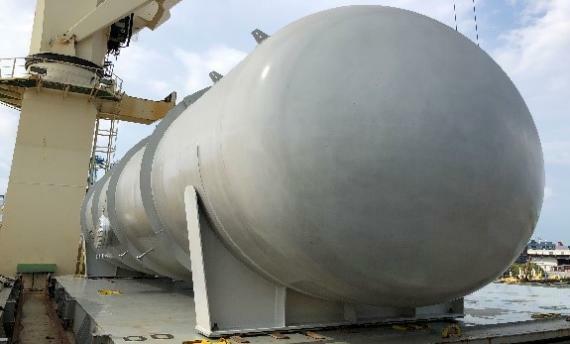 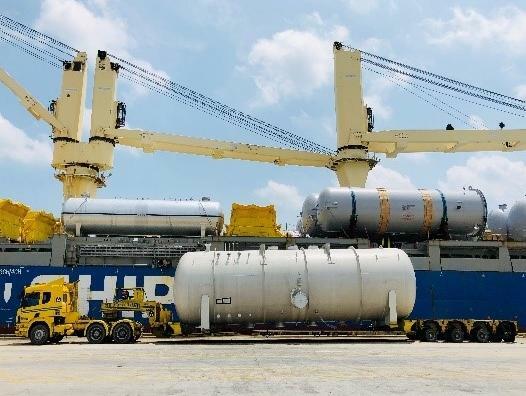 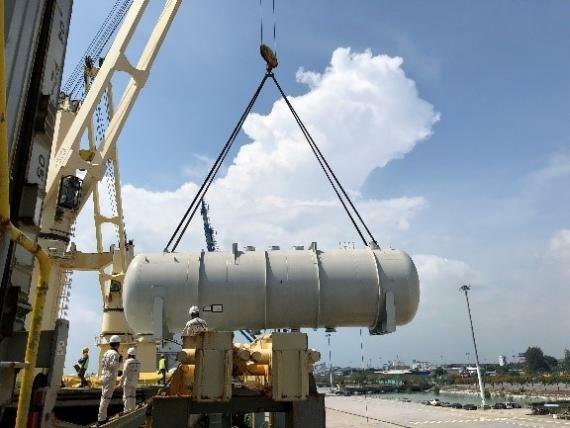 Tera Projects & Shipping have recently handled a shipment of 2 deaerator tanks, 2 condensate collection tanks and 1 case of accessories, loaded at Westports in Port Klang, Malaysia and shipped to Skikda Port in Algeria. 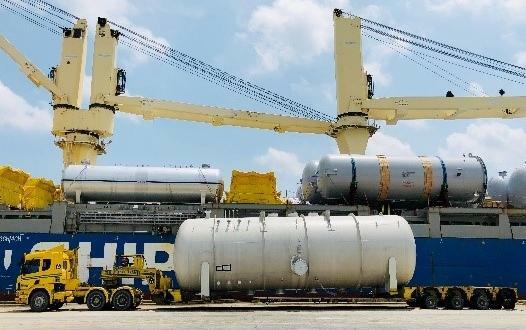 The whole shipment had a gross weight of 98,000tns and a total volume of 816.86m3. 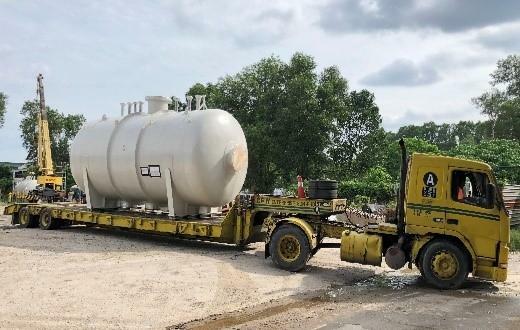 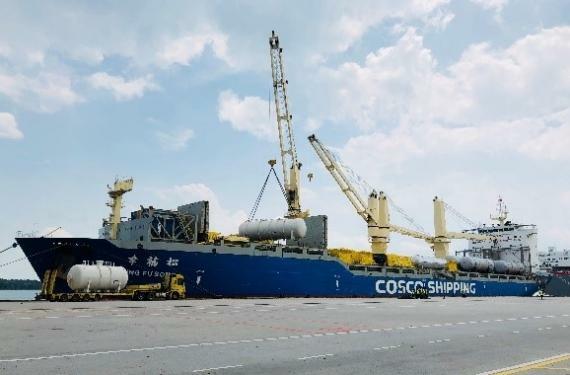 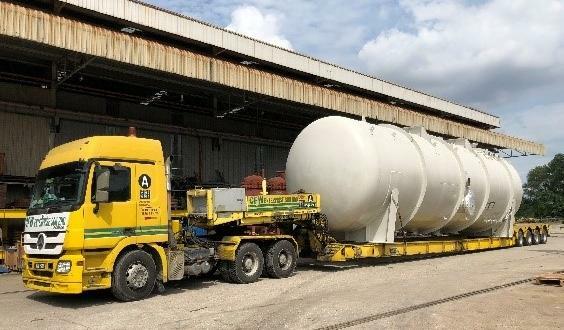 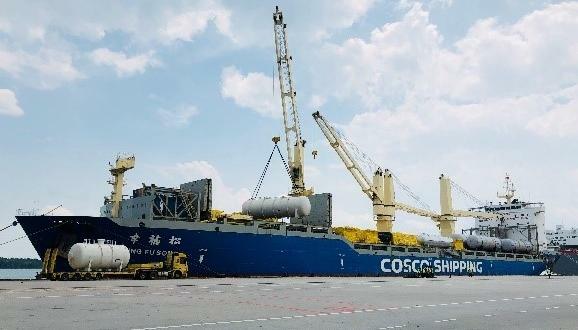 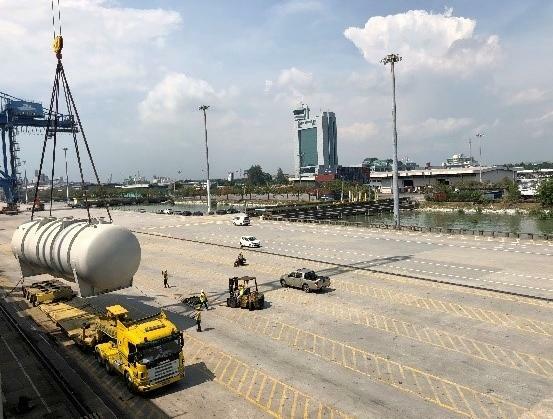 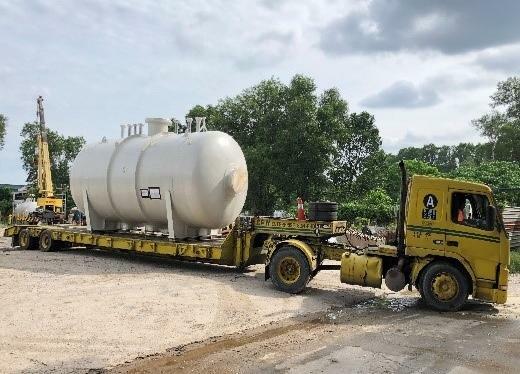 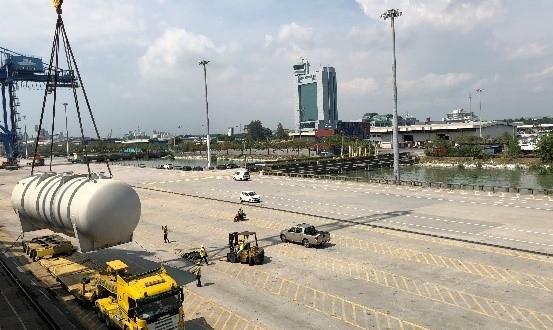 After utilising a multi-axle trailer and a vessel bridge trailer to load the tanks in accordance with the dimensions and weights, Tera collected the tanks and accessories from the client's premises and delivered them to Westports in Port Klang as a distance of 75km. 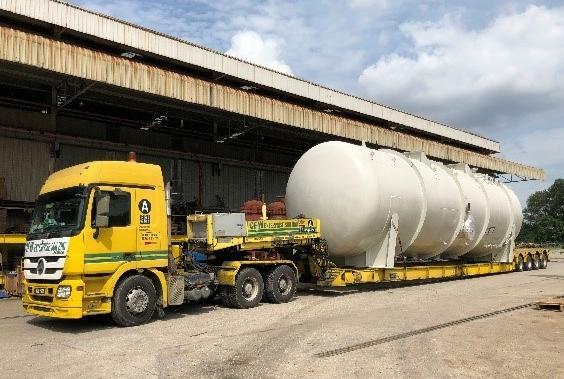 Obstacles experienced during the journey included peak hour traffic, narrow turning roads and highway tolls, but Tera managed to overcome the difficulties with their escorts and professional team who are well-trained in transporting oversized cargo anywhere and anytime as well as the many different challenges it can bring.